Galen Miller is a Changemaker because he played a key role in helping Greek Life at Central Michigan University raise over $100,000 on Givebutter for two local nonprofits while simultaneously looking outside his campus to fundraise for students in Flint, Michigan, through his own nonprofit, Pack Your Back. And he’s only just getting started. When Galen Miller took over as president of the Interfraternity Council, he knew he had big shoes to fill. Just one year prior, the Greek community at Central Michigan University had set records by raising $87,000 for one of the school's biggest events of the year: Greek Week. Not only is CMU's Greek Week a fantastic way for fraternities and sororities to raise money for philanthropy, but in recent years it has become one the largest Greek Weeks in the country in terms of both student participation and dollars raised for charity. Choosing philanthropies that are very personal to the student body is something that Galen attributes as one of the main factors of the event's growth in recent years. Which is why in 2018, he helped select two local nonprofits with close ties to Greek Life at CMU to be the beneficiaries of Greek Week, Women’s Aid Service and Special Day Camps. To encourage even greater participation, Galen doubled-down on something that he believes is the key to any successful Greek Life event: a healthy dose of friendly competition. What Galen couldn't have predicted was that 2018 would blow their previous fundraising records out of the water. 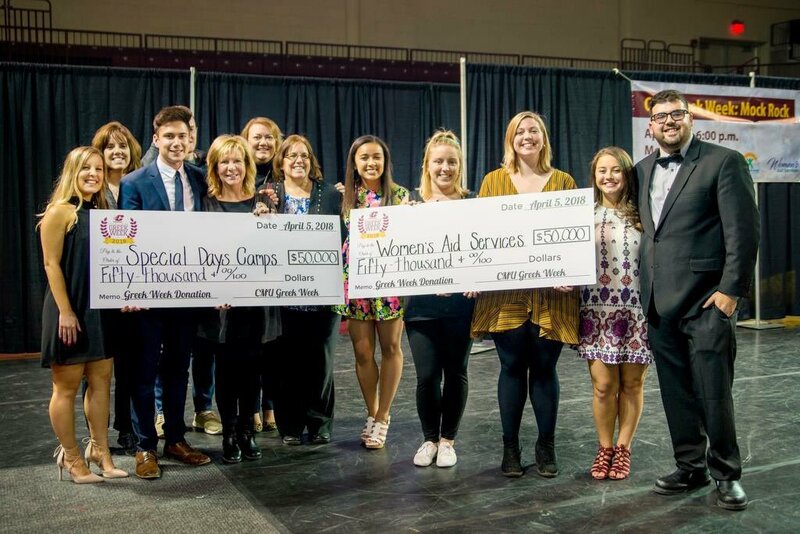 By the end of this year's event, Greek Week at CMU raised over $100,000 for their two nonprofit beneficaries! Needlesss to say, Galen and his fellow board members were ecstatic. For many years, the Greek community at CMU used older crowdfunding platforms, such as GoFundMe, for their fundraising efforts; but two years ago, Galen's predecessor, David Wong, thought there was opportunity to make their online fundraising efforts more engaging. The following year, Galen harnessed that same competitive energy and took it to the next level. Every sorority and fraternity was paired up into teams and given their own fundraising page on Givebutter with the ability for individual members of each chapter to join. Additionally, each fraternity and sorority fundraising page was grouped together under the overall fundraising effort of CMU’s Greek Week to help visualize the competition amongst teams. In the end, it was a fun, friendly competition between all of the students in Greek life, and thanks to Givebutter's low and transparent fees, over 99% of the funds went straight to the organizations they were supporting. Despite the hectic schedule that Galen had while planning and participating in Greek Week, he was also taking part in raising money for a different cause. Galen is the Founder and Executive Director of Pack Your Back, a nonprofit organization dedicated to collecting and donating school supplies to children in need. 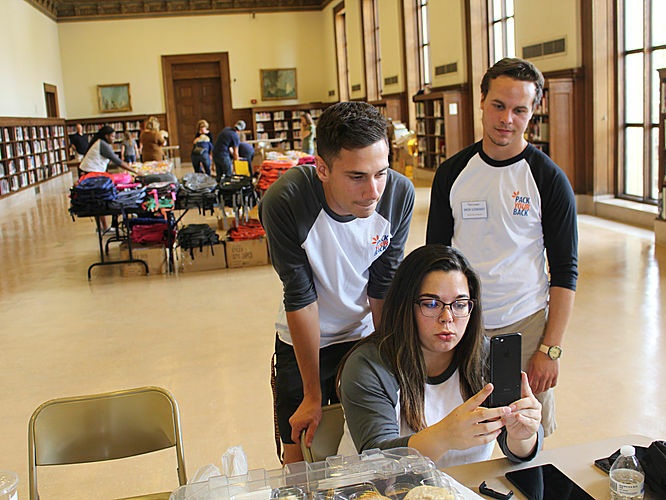 Pack Your Back was initially founded in a college dorm room at CMU by Galen and a couple of other students who had visited Flint, Michigan and witnessed the water crisis there firsthand. They realized that in the midst of dealing with the water crisis, many children were also going without basic school supplies.  Pack Your Back began in the month of March 2016 and immediately filed for nonprofit status that was approved in May, and thus started its first distribution process in August. In that same year, Galen and his team supplied 300 students with backpacks, and the following year, it was about 2,500. Now, in 2018, their goal is to supply a backpack full of school supplies to every family in Flint, regardless of income. When asked if he had always been interested in fundraising or starting a nonprofit, Galen said it had actually been inspiration from the fraternity he helped found that sparked his interest. As a rising senior at CMU, Galen has already achieved so much and impacted so many lives in a positive way. So, how could someone else make a difference like he has? His advice is to volunteer! Visit Galen and his team at Pack Your Back’s website to reach out and see how you can get involved!